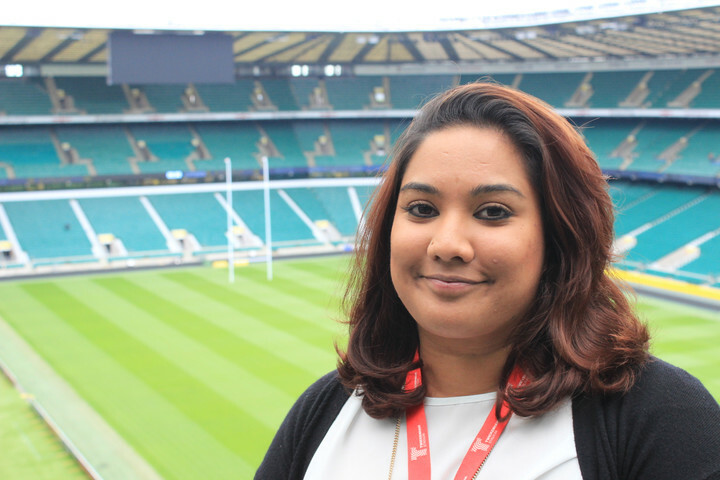 Twickenham Experience today announces the appointment of Shirene Lalmahomed to the role of Conference and Events Coordinator. Shirene's role at Twickenham Stadium sees her responsible for organising all conference and events bookings. She will also be personally coordinating commercial, corporate and private conferences and events as well as ensuring TEL operational procedures and standards are applied to provide consistent and safe service for all employees and customers. Shirene joins the sporting venue having previously spent two years at Holiday Inn London Kingston - South in the role of Events Coordinator where she was responsible for dealing with initial enquiries to final accounting and feedback. Planning Weddings, Conferences and Events with a capacity of up to 300 guests whilst attending wedding fairs, exhibitions and festivals representing the hotel to maximise revenue opportunities for all hotel departments. Finally, she was involved in designing in-house brochures/packages offered to clients. Commenting on the appointment, Shirene says: "I am thrilled to be part of the team at Twickenham Experience. I am looking forward to getting stuck in to my new role as Conference and Events Coordinator and being a part of such an iconic venue." Rob Brumell, Conference and Event Operations Manager at Twickenham Stadium, adds: "I am looking forward to welcoming Shirene to the Twickenham team in the role of Conference & Events Coordinator. It has been a great year for us so far and I am excited to see what the rest of the year has in store for the venue."